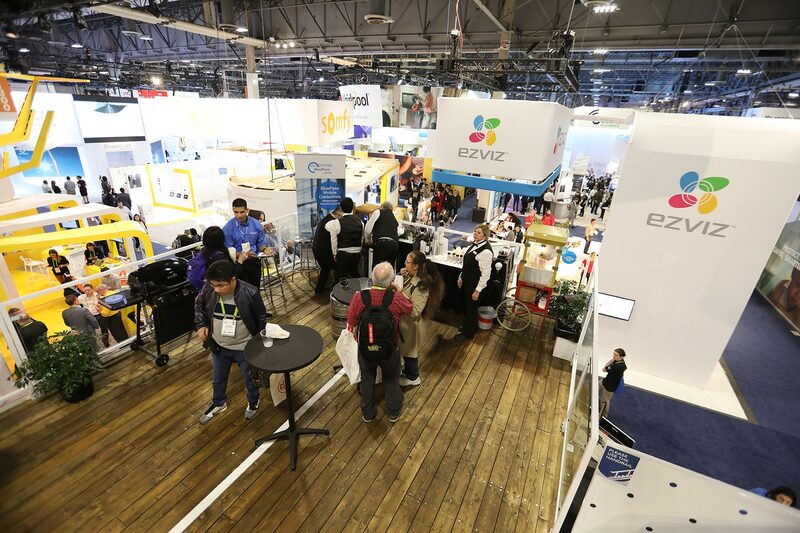 With so many flashy offerings competing for people’s attention, even world class companies need to work hard to make an impression at the Consumer Electronics Show (CES) 2018 in Las Vegas. 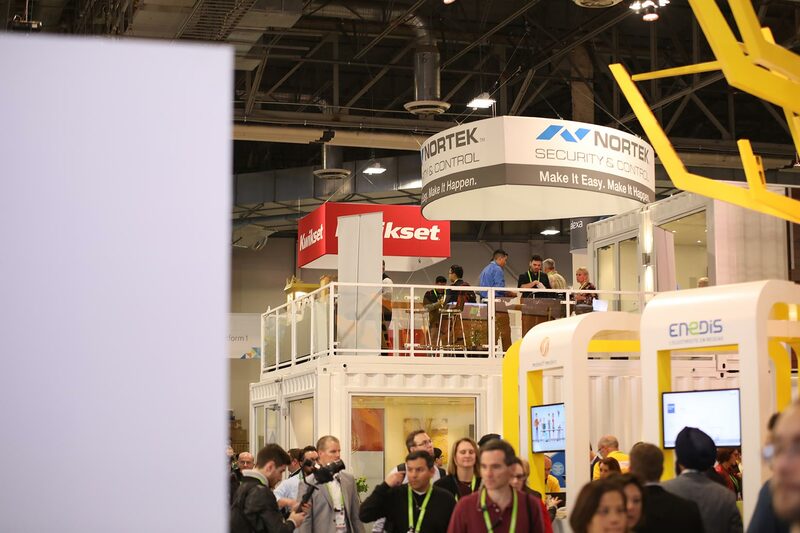 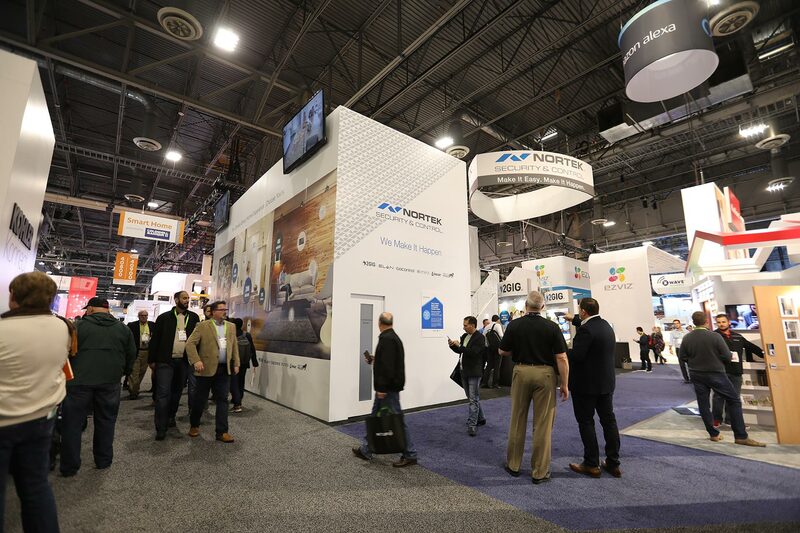 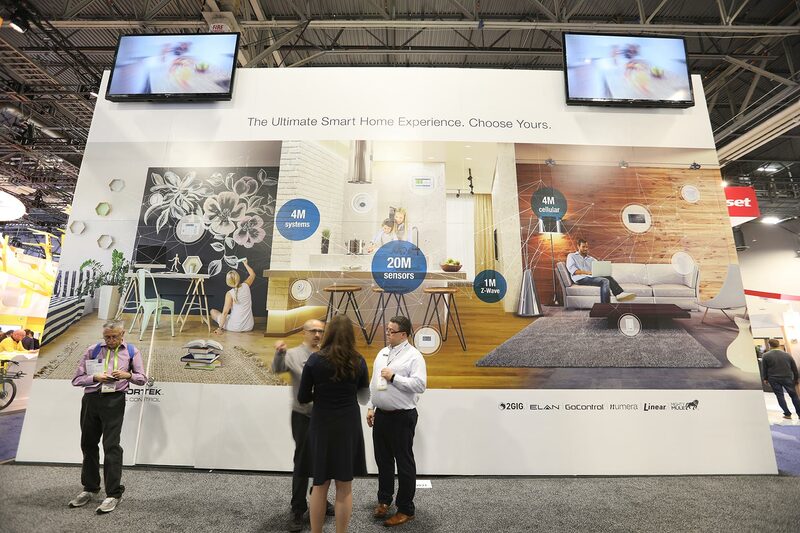 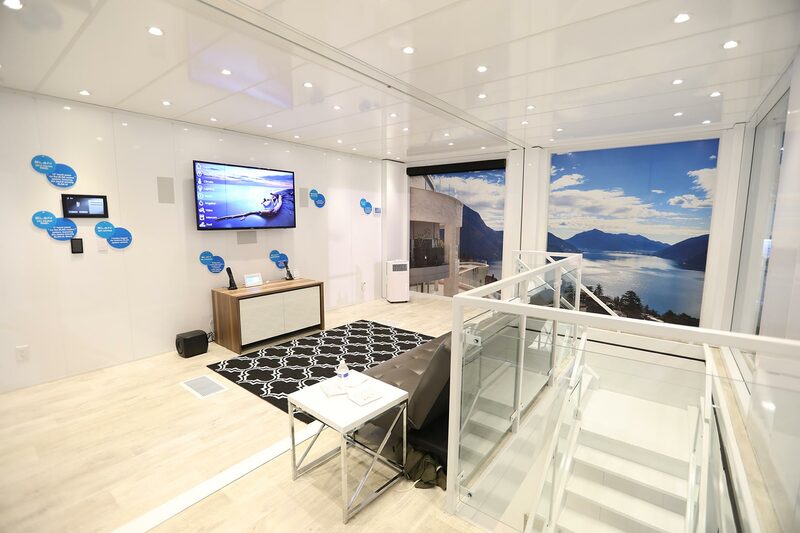 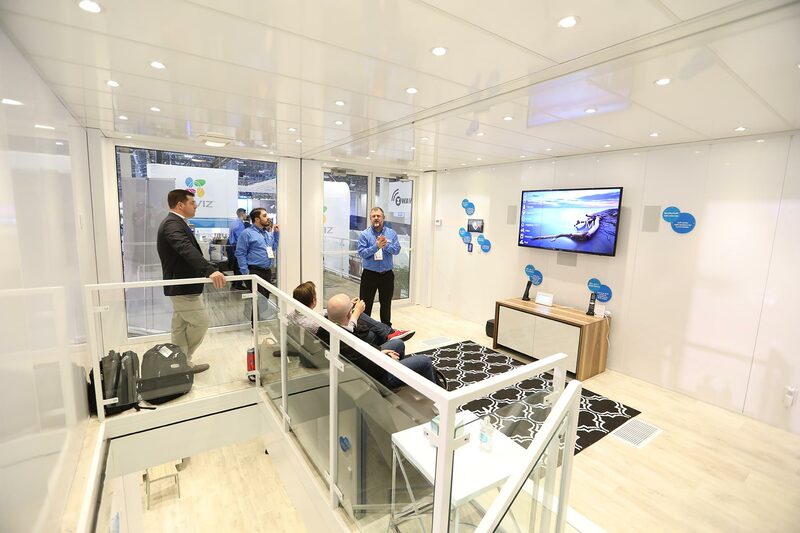 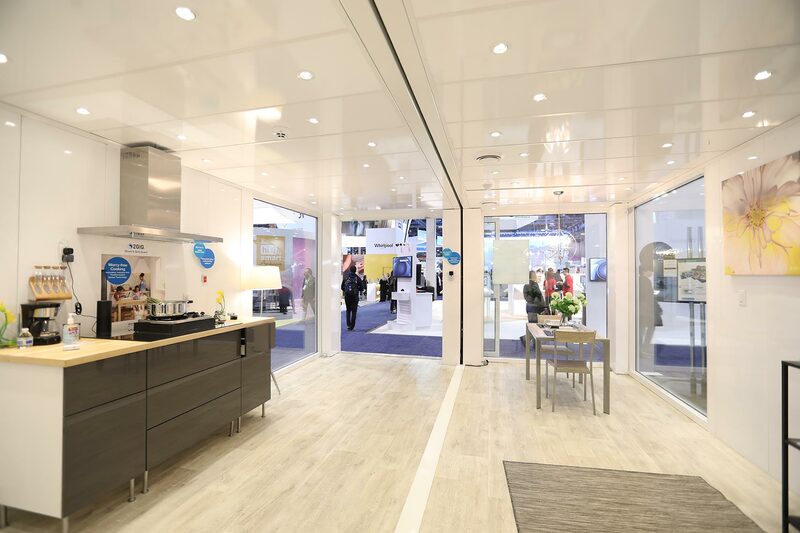 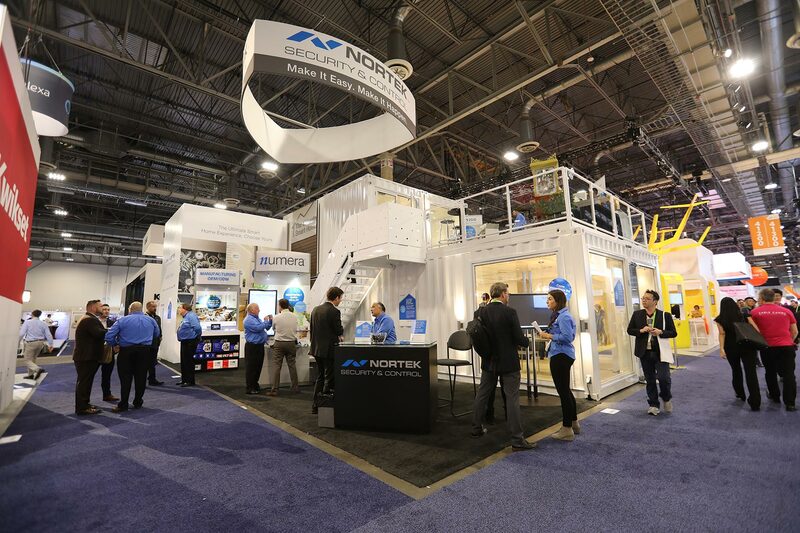 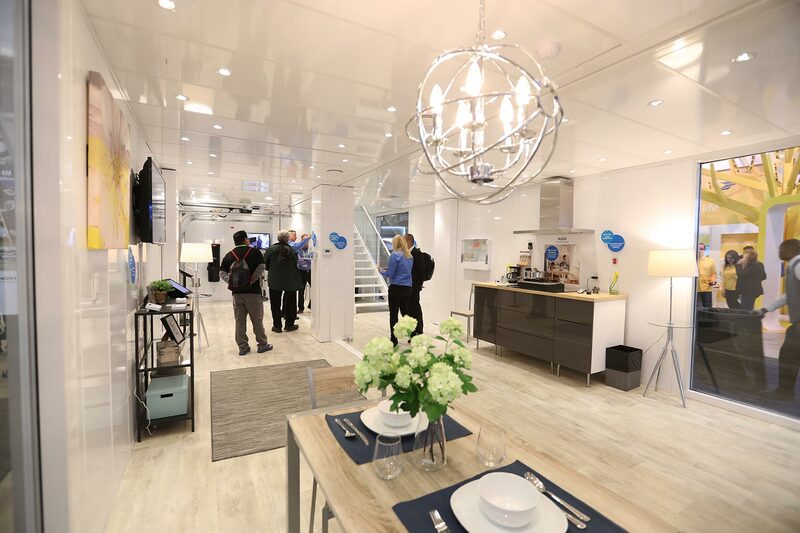 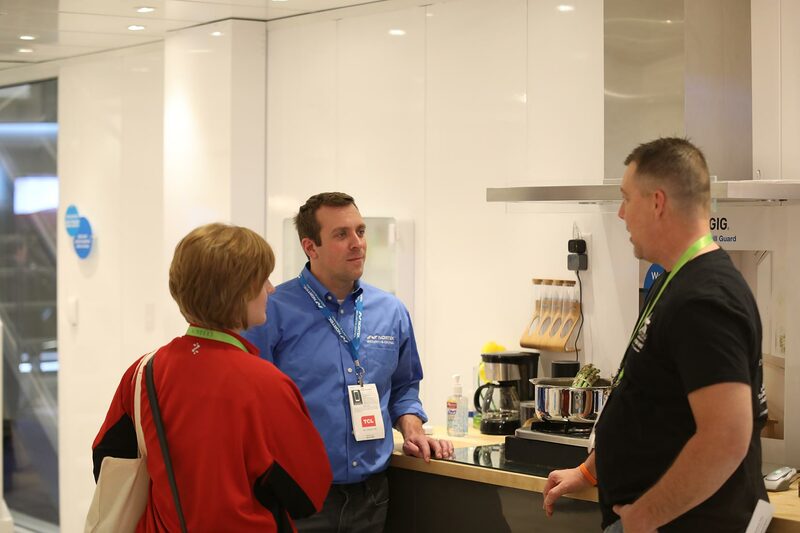 But that’s what indoor air quality solutions provider Nortek did once again for CES 2018, successfully showing off its range of Broan ventilation, home automation, security and control system products in the Home Solutions category. 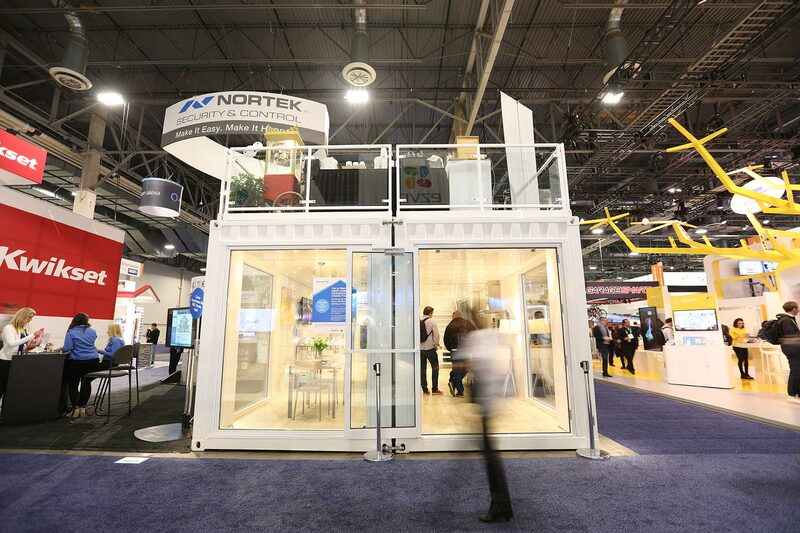 Again Nortek turned to Loki Box Design to take unique, double-stacked shipping containers and turn them into a smart container home, fully loaded with multiple Nortek product lines all installed in a contemporary residential interior and with full demonstration capability. 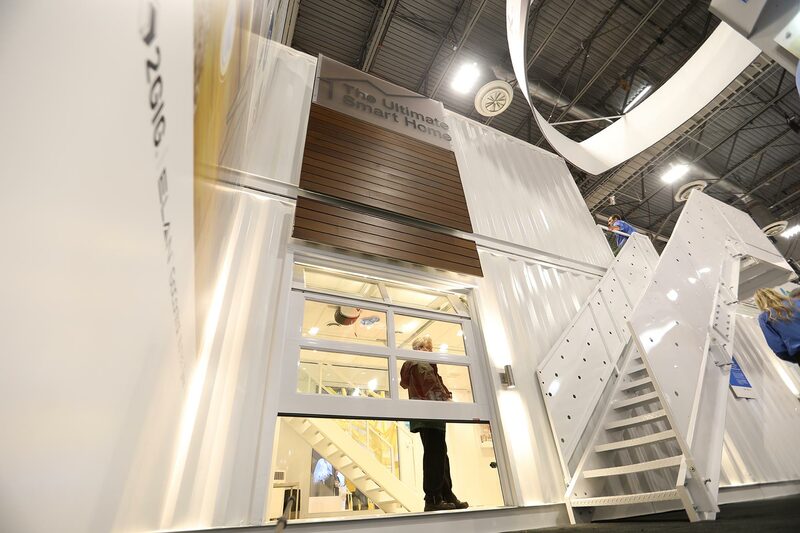 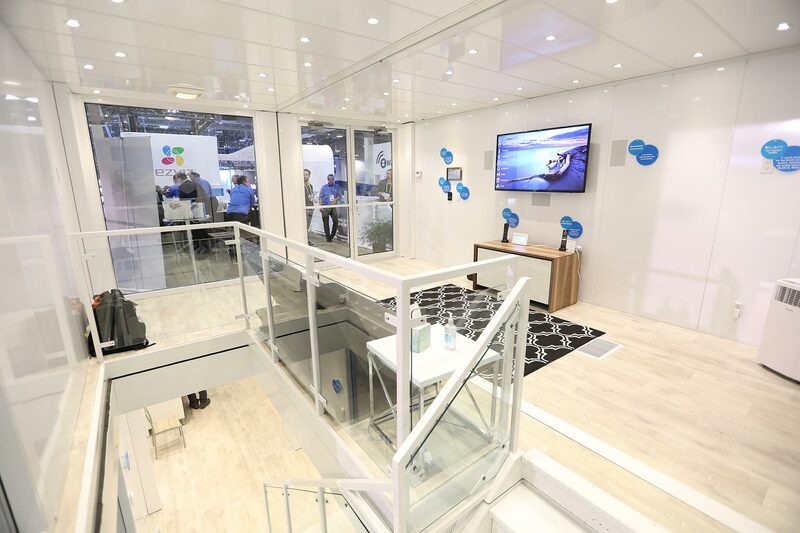 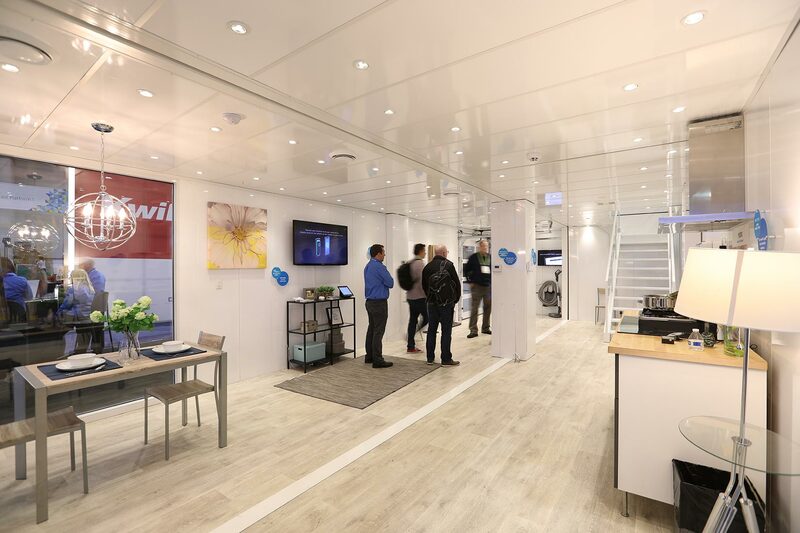 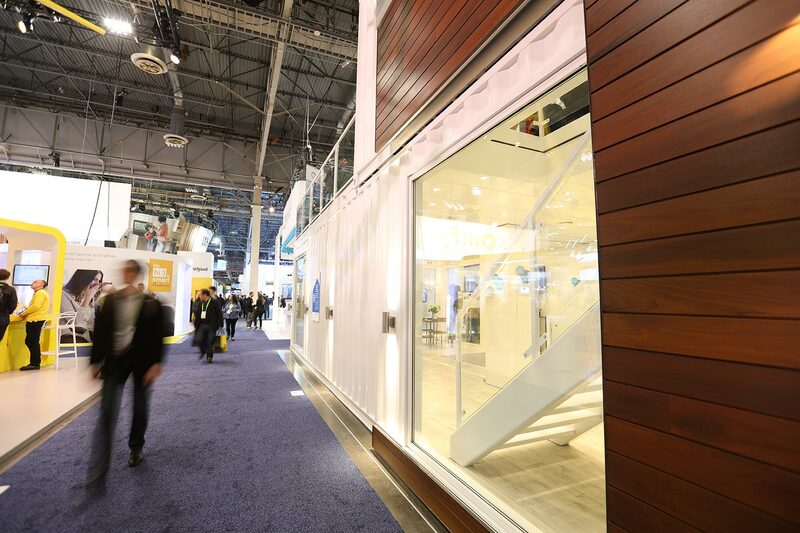 With its ultra-modern design and recycled shipping container construction, the trade show pavilion proved itself capable of attracting passersby and holding their interest during this very crowded technology trade show. 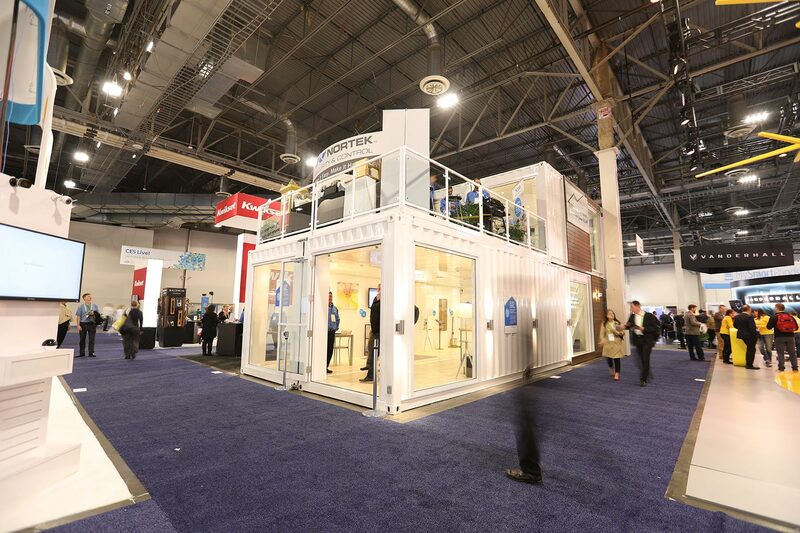 The large booth and imposing height make it a stand-out pavilion and a highly successful exhibit for the brand. 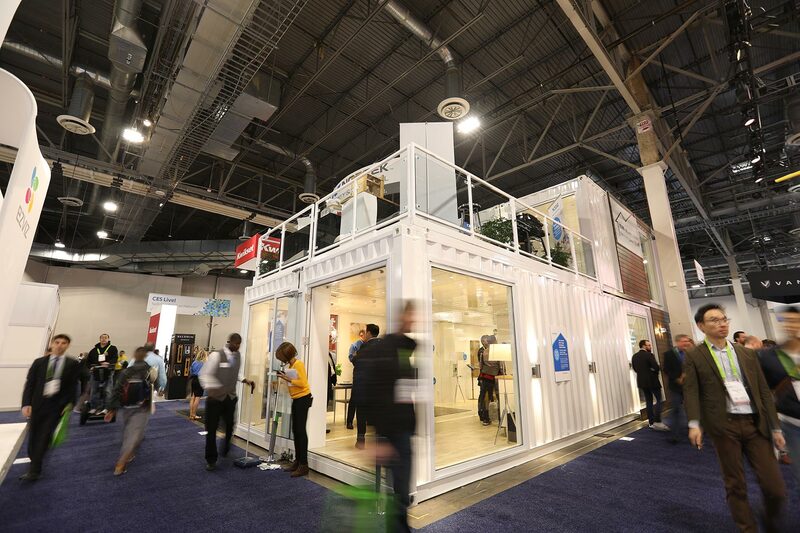 An added plus: all the exhibit’s features and amenities fold up and are stored inside the unit for transport, secure, self-contained and impossible to misplace or leave behind.